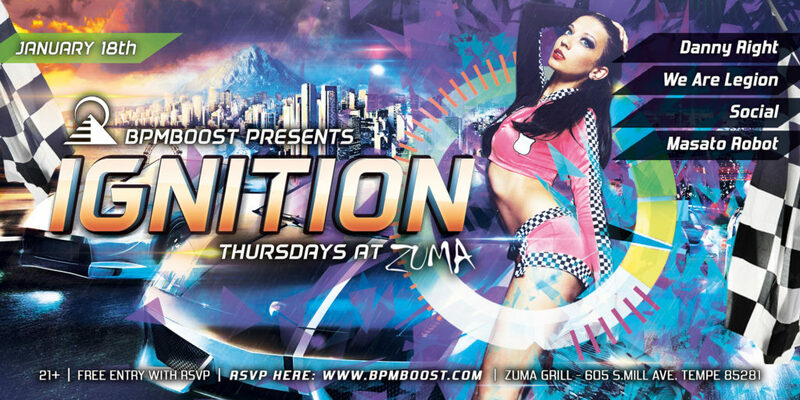 BPMBOOST PRESENTS: IGNITION THURDAYS – January – RSVP HERE! Take your Thursday night and turbo charge it with our new concept IGNITION Thursdays with sounds from Arizona's finest DJ's. RSVP to join our mailer list and the chance to earn free tickets to our events!